Understanding your tax bracket can make a big difference when managing your finances. Few people really understand how tax brackets work. Here is the easy guide to understanding tax brackets and how it impacts your personal finances. The United States uses a progressive federal tax system. That means that tax rates start lower then go up as income increases. Because of the way this is set up, it creates “brackets” – or ranges of income that fall within a certain tax rate. Let’s look at the proposed 2018 tax brackets for married joint filers to use as an example. The explanation will be the same, but the rates different, if you are single or filing as head of household. You can see the full currently proposed 2018 brackets and rates here. Note that those 2018 brackets are very much subject to change. If tax reforms are passed this year, we’ll possibly see some extreme adjustments. According to the Bureau of Labor Statistics, the average US full-time wage is $44,148. To make this easier to understand, let’s use $44,000 per married person as an example. That’s $88,000 of household income which would be taxed at the rates in the chart above. Based on the chart we see that your household will fall into the second tax bracket of 25% with this income level. So if you were asked, you would say you are “in the 25% tax bracket”. Many people think in that case that they’ll owe a straight 25% of their income toward taxes. That works out to $22,000. That’s not the correct amount though! The first $19,050 will be taxed at 10%, which is $1,905. The amount from $19,051-$77,400 ($58,350) is taxed at 15%, which is $8,752.50. The remainder above $77,400 ($10,600) is taxed at 25%, which is $2,650. The total federal income taxes for your household at this income level will be $13,307.50. This is what is meant by a progressive tax system. Different “brackets” of your money are taxed at different rates. NOTE: The chart makes it easier to calculate your taxes. Rather than having to break up the income, it does that for you. The chart shows you the total taxes due when adding up the lower tax brackets. For example, the third bracket starts with $10,657.50 – because that’s the total tax from maxing out the two brackets below it. That’s why the third bracket shows that amount PLUS 25% of the amount left within that range. When you know your total taxes due, you can divide that by your total income to calculate your effective tax rate. In this example your total taxes of $13,307.50 divided by your household income of $88,000 equals 15.1%. That’s the percentage of federal taxes owed on this example. In a progressive tax system your effective tax rate will always be lower than your tax bracket rate. As mentioned above, the sample household income of $88,000 would be in the 25% tax bracket. That’s because their the income falls within the lower and upper bounds of that bracket. That bracket rate is also know as your marginal tax rate. The marginal tax rate is the percent of taxes that will be paid on the next dollar of earned income. Since a progressive tax system has increasing rates, your marginal tax rate is always higher than your effective tax rate. There is more to this than just an exercise in math. 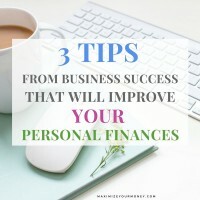 Understanding this really can have a big impact on planning how to handle your personal finances. I understand the need for taxes. I don’t even mind paying my fair share of taxes. But I don’t want to pay any more taxes than legally owed. If I’m feeling generous beyond that I’ll donate money to a valuable cause of my choosing. My goal then is to keep my effective tax rate as low as legally possible. This should be your goal too. That’s why understanding your marginal tax rate is important. The example family will pay 25% on each additional dollar earned – until they hit the next higher bracket. The next $1,000 will only net you $750 after taxes. Consider this: The most recent $1,000 earned was also taxed at that rate. It only brought in $750 for you after taxes. Lowering your taxable income by $1,000 would save $250. Intelligent Investing: What Is Tax Loss Harvesting? Taking the standard deduction. That would lower your taxable income by $12,700 for a married couple filing jointly in 2017. Elderly and blind people can claim an additional $1,550 of standard deduction, so don’t miss out on that if you qualify. Contribute to a retirement plan. 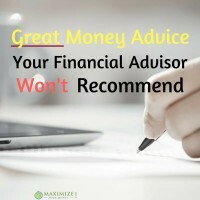 Money put into an IRA, 401k, HSA, or other qualified savings plan can usually be subtracted from your taxable income. “Usually” because some of these have limits and income phase-outs. Deduct business expenses. If you operate your own business (even if its a blog) you can deduct certain expenses from your taxes. Even if you don’t have your own business, if there are expenses related to work that weren’t reimbursed, you may be able to deduct those too. Does that help explain how tax brackets work? Do you have any further questions on the above? How about tips you want to share on further lowering your taxable income? Let us know in the comments below. A well thought out basic explanation. I might recommend touching on tax credits versus deductions a bit. Good point FTF, thanks for sharing that tip. I’ll either do an edit soon or maybe write up a separate short post to cover that topic for people. Thanks! Great Post Karla!! You have elaborately mentioned everything about tax bracket. Is there any additional standard deduction for elderly or blind taxpayers? Hi Sophie – thanks for reading and commenting! Yes, the additional deduction for elderly and blind has been increased to $1,550 for 2017. Not sure yet what that might be for 2018. Sounds like congress might release more details as soon as today. This is a great explanation of how tax brackets work. So many people are confused about it, but can really benefit from the knowledge! It really can make a big difference in your choices by understanding what that next dollar will be taxed at or how much that extra deduction will save you. So many people don’t understand tax brackets it’s frightening.